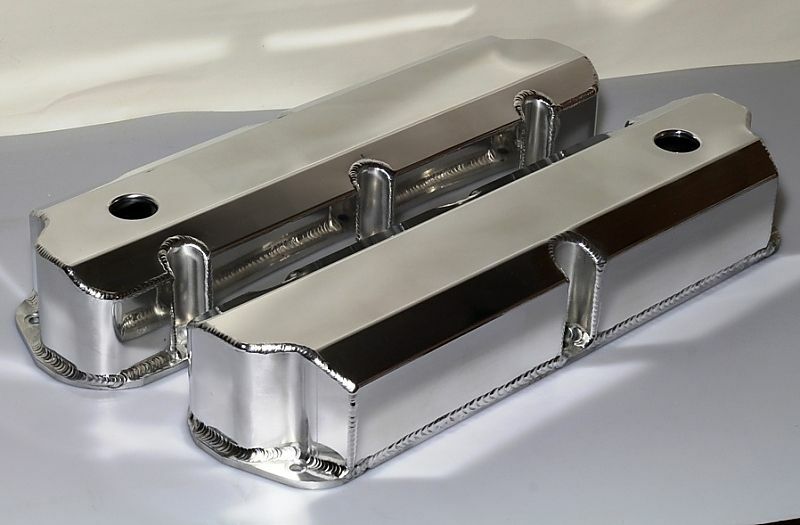 These valve covers have a somewhat semi polished finish. We find our customers prefer a finish that is somewhere between brushed and semi polished finish. We have sold thousands of these over the years, and all have been satisfied with the finish. We can honestly say they have a somewhat lower sheen than the picture shows. You will notice the strong reflections on the sides in the above pics, this is from flash glare.